Our annual Cycling Weekly Reader Poll paints a picture of the cycling year, giving emphasis to those riders, teams and events that have really stuck in the memory in the preceding 12 months. Our 2015 edition attracted one of the highest number of respondents yet, and has thrown up some major surprises. It’s not so much who has attracted your votes, but who and what has been left out. For the first time ever, there’s no award for what has traditionally been pro cycling’s major race and its winner: the Tour de France. Both the event, and its victor Chris Froome, did not garner a single award this year, although they were never far from the top. Instead, we have some refreshingly new faces — as well as a sprinkling of old ones — to make this year’s poll results highly memorable. Along with the top three in each category, we’ve also listed some of the also-rans and entertaining answers given by respondents. 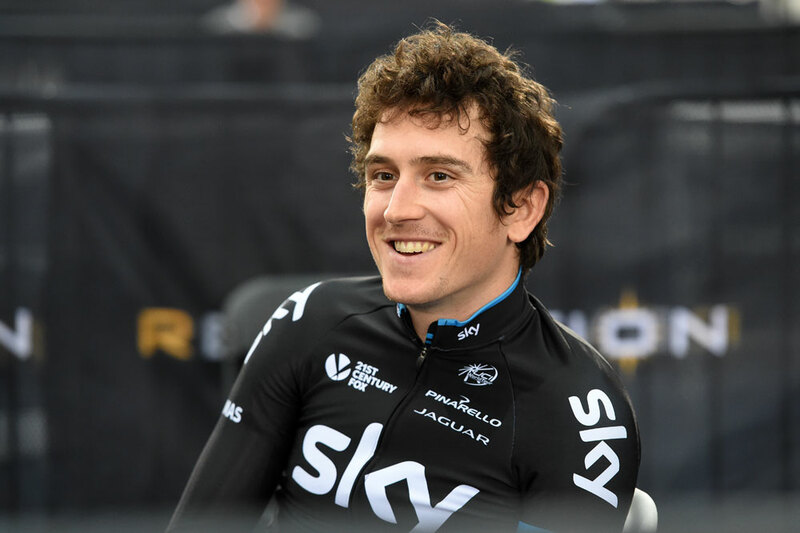 There was no doubt who was this year’s most impressive Brit, snatching well over a third of all the votes cast: Geraint Thomas. The likeable Welshman has captured the nation’s imagination in what has been a standout year. A solid Classics season featured a win in E3 Harelbeke and a third at Ghent-Wevelgem before spending much of the Tour de France in the top 10. Women’s road world champ Lizzie Armitstead placed second after a season that saw her do the double: World Cup and World Championship victories. Chris Froome completes our podium in third, after he became the first British rider in history to win two editions of the Tour. Another crystal clear winner for your favourite international rider: Peter Sagan. After suffering a frustrating season during which he finished numerous races in second place and was threatened with a pay cut by outspoken Tinkoff-Saxo team boss Oleg Tinkov, the Slovak superstar came good at the World Championships in Richmond. 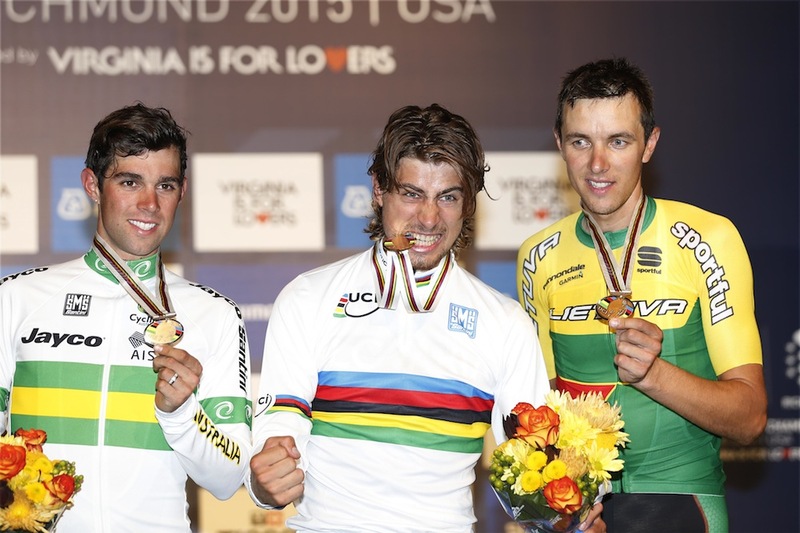 A perfectly timed move in the finale of the gruelling race saw him earn the right to wear the coveted rainbow jersey. Unusually, a rider who came away from the season empty-handed placed second: Dutchman Tom Dumoulin. Dumoulin’s try-at-all-costs performance at the Vuelta a España, where he battled Italian Fabio Aru to the bitter end, was inspiring. 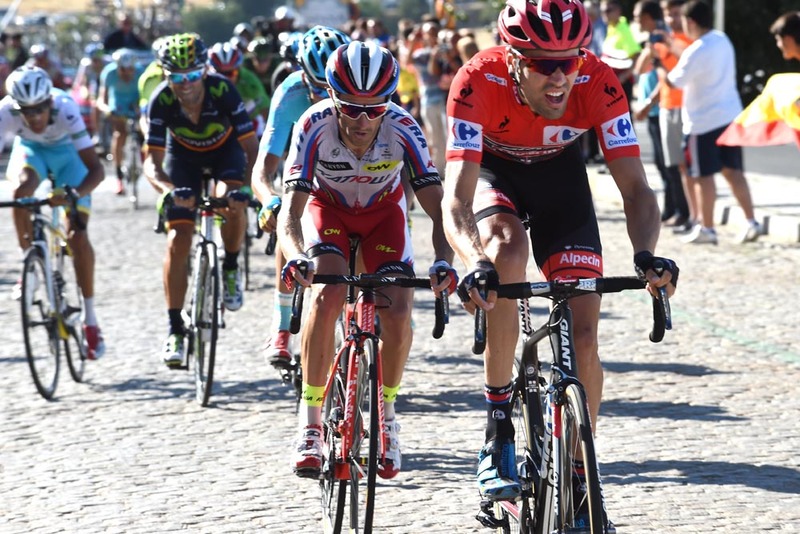 Aru may have won the Vuelta, but he didn’t feature in the top three. Instead, WorldTour winner Alejandro Valverde placed third after the evergreen Spaniard enjoyed another consistent season. Norwegian Alexander Kristoff just missed the podium for once, despite being the rider with the most race wins in 2015. Multi-discipline, multi-talented Frenchwoman Pauline Ferrand-Prévot attracted a solid number of votes, as did Esteban Chaves, John Degenkolb and Fabio Aru. Last year’s winner, Alberto Contador, received hardly any votes, despite his Giro d’Italia victory. shape and take the lead in the Tour de France in July, only to crash out while in the yellow jersey, again with two fractured vertebrae. 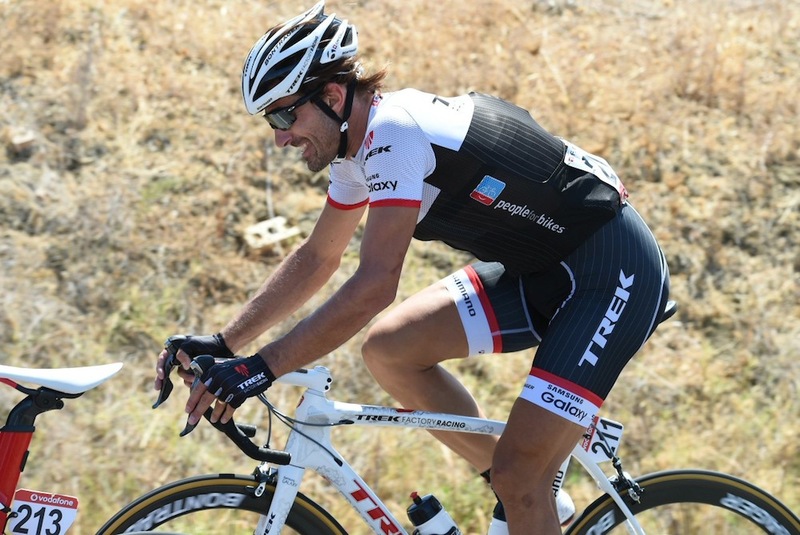 A return at the Vuelta a España then saw him abandon due to illness. Second-placed in our poll, Tony Martin also crashed out of the Tour de France while in the race lead, breaking his collarbone. And few can forget the wince-inducing injury after Martin’s anti-slip saddle covering rubbed through his shorts and part of his backside at the Worlds. After crashing out of the Tour, Tom Dumoulin put in a memorable ride in the Vuelta, losing out on the race lead after fading in the race’s mountain finale. Marcel Kittel’s illness-plagued season saw him stage more comebacks than Take That, all with little success. Before his fortunes changed at the World Championships, Peter Sagan did not enjoy a fortune-filled season, being struck by a motorcycle in the Vuelta a España and being forced to abandon. After a year in the CW poll doldrums in 2014, British WorldTour outfit Sky rocket back to the top of our most impressive team category. 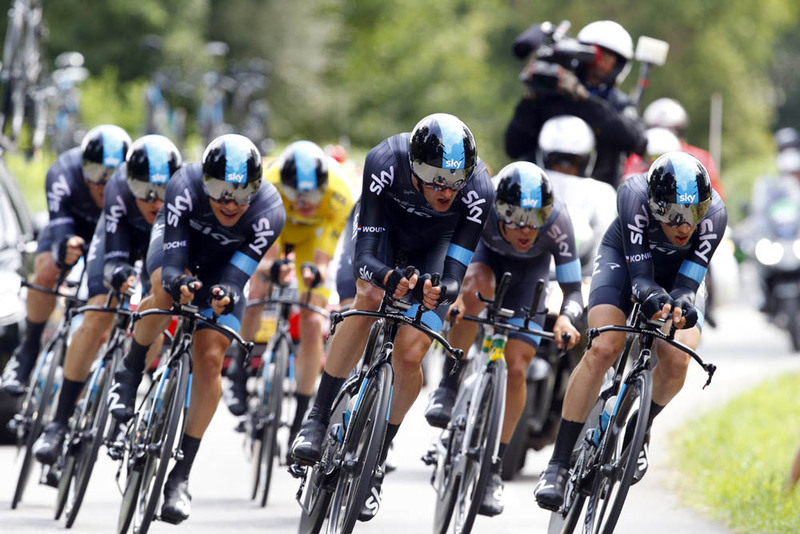 Not only did the squad win the Tour de France for a third year out of the last four, but they also finally came good in the Classics, and took some memorable wins with Richie Porte, Ian Stannard, Geraint Thomas and Elia Viviani. It’s great to see MTN-Qhubeka beating the big budget opposition to take second spot: the African squad really captured the imagination and interest with plucky rides in pretty much every race they entered. 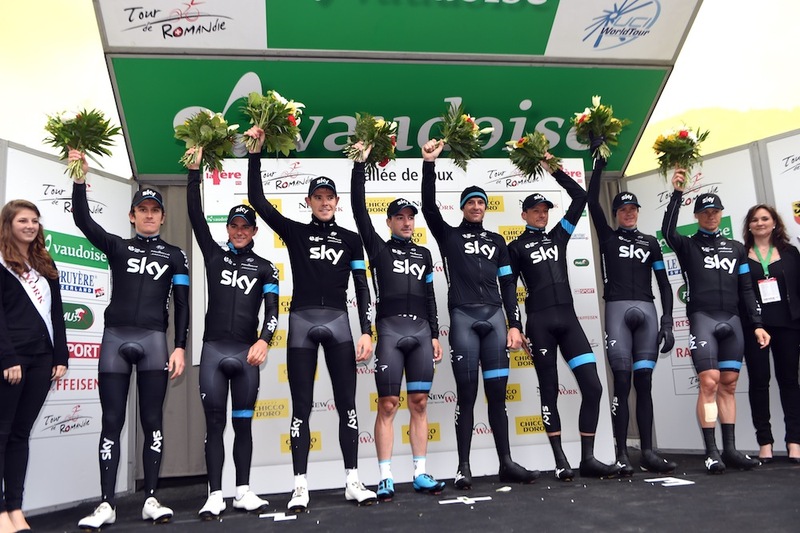 It’ll be interesting to see whether they can keep up the momentum as they move up to the WorldTour in 2016. Spanish squad Movistar have grown in your affections, with a wide variety of entertaining riders on their roster: Nairo Quintana, Alejandro Valverde, Alex Dowsett and Adriano Malori to name but four. Having topped the table last year, Etixx-Quick Step have slipped off the podium despite still racking up a decent number of wins. American team BMC are still among your favourites, and Astana were also recognised for their support in Fabio Aru’s Vuelta victory. Tom Dumoulin’s spirited ride at the Vuelta a España has been voted your favourite performance of the year. Dutchman Dumoulin was the revelation of 2015, defying the ‘time triallist’ tag and holding his own in the mountains against a flurry of attacks from eventual winner Fabio Aru. His grit, determination and good humour in front of the camera have obviously endeared him to race fans. A new Grand Tour hero was born. Peter Sagan’s world title was your second favourite performance, and one that has quite rightly elevated Sagan’s status to being the world’s best. Chris Froome’s battle for the yellow jersey at the Tour de France did not capture your imagination quite as much, and he sits in third place. There were plenty of worthy nominations, including Taylor Phinney’s comeback from serious injury, Lizzie Armitstead’s savvy ride to net the women’s world road race title, Ian Stannard beating the odds and three Etixx riders at Het Nieuwsblad, and Sir Brad’s successful Hour record attempt. A new category for this year’s poll: we thought we’d ask for your opinion on the most stylish pro squad. Kit featuring lurid colours and hundreds of sponsors’ logos were definitely off the menu in your voting. Sky overwhelmingly topped the table, the black-and-blue kit created by Rapha obviously being an eye-pleaser for the majority. With Rapha and Sky announcing a parting of the ways after 2016, we will watch with interest to see if the squad takes on a new look for 2017 or whether it will take the ‘if it ain’t broke, don’t fix it’ route. Spanish team Movistar take the runner-up spot. The team’s dark blue and distinctive green M logo on the front of the kit is stylish and easily distinguishable. American team BMC Racing are third, with their red-and-black kit finding plenty of fans. One respondent very honestly answered: “They’re all terrible, and I’m only answering this question to get to the next screen.” Elsewhere, Etixx-Quick Step, Wiggle-Honda and Cannondale-Garmin all attracted votes for their racing attire.